The automotive manufacturers require long-term quality & reliability. Fives is in the heart of vehicles to bring manufacturing process and give the long lasting results & high performance. The automotive industry plays a crucial role in the worldwide economy with more than 80 million vehicles sold per year. Today, the sector is the key initiator of numerous stakes in industrial innovations, environmental development and economy. Manufacturers and suppliers are in constant evolution toward more requirements, productivity and innovation. 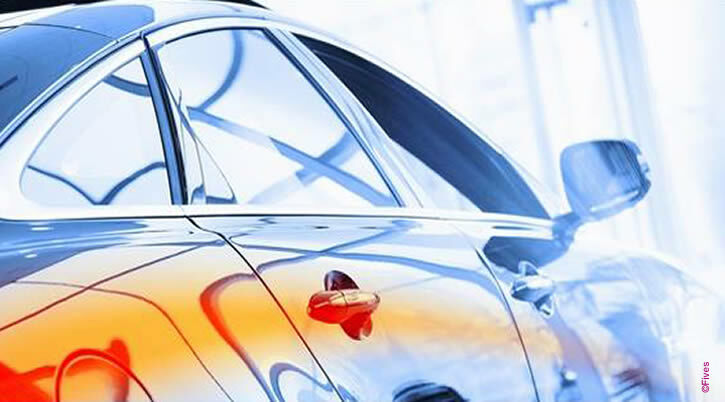 For these reasons, metal cutting and composite solutions provided by Fives is a key solution in the automotive industry. Fives develop with customers innovative solutions to manufacture aluminium and titanium parts in less time and with high accuracy. Thanks to Cincinnati, Forest-Liné, Giddings & Lewis and Liné Machines solutions, Fives supports automotive actors in their worldwide development, with strong constraints and requirements. Fives designs boring mills machine, with modular and robustness design permitting manufacturing heavy duty parts with accuracy and flexibility. From simple to extra-large complex manufacturing, Fives portal and gantries reduce the part changeover, reduces setup costs, and reduces the risk providing better quality, more accurate parts, and ready-for-anything capability. Truck wheels, spindles and brake parts are among the transportation parts produced on Giddings & Lewis vertical turning centers. Options such as side heads facilitate the machining of tall parts. Live spindles add milling capabilities to the turning center operations. Fives supplies tailor-made solutions and ensure an optimal performance and improved availability of the installation.